Join the fun and help benefit the EOD Warrior Foundation by participating in the EOD Warrior Polar Bear Plunge. Your registration and/or sponsorship will go toward these programs and toward improving the lives of EOD Service Members and their families. Join us on February 9! Upcoming charity event - EOD Warrior Foundation Polar Bear Plunge. Benefiting the EOD Warrior Foundation and celebrating EOD Techs and their families. Black Friday & Cyber Monday may be over but you can still take advantage of the $5 off special from the normal registration price of $30. Hurry - offer expires December 1. To take advantage of this sale, enter the code POLAR5 on the right hand side of the checkout screen prior to submitting payment. Register as an individual or gather up your friends and register as a team! Washington, D.C. The EOD Warrior Foundation will be the beneficiary of a 5K and Half Marathon on June 25, 2017 in Georgetown. The Warrior 5K and Half Marathon will be run on the Chesapeake and Ohio Canal Path, near the Nation's Capitol. The half marathon begins at 8 a.m., and the 5K begins at 8:30 a.m.
Walkers are welcome to participate in either event. There is also a virtual run option for those who would like to support the cause, but can't make the race date or location. Each racer, including those doing the virtual run, will receive a race t-shirt and custom finisher medal. Race T-shirts are guaranteed for all who register by June 14. T-shirts for those who register after that date will be on a first-come, first-served basis. For more information, please visit http://www.eodwarriorfoundation.org/events/events/view/244. On this special holiday, we remember all who sacrificed their lives for our freedom. We especially remember and honor those in the EOD community who have lost their lives to make the world a safer place. Thank you to all who have served and those who continue to serve our great country. A special thank you as well to the families of veterans for their support. 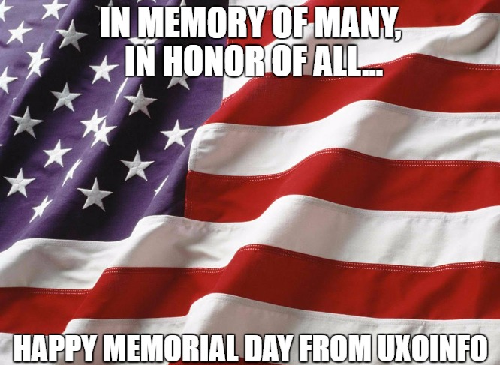 Happy Memorial Day 2017 from UXOInfo.com. Wishing all of our veteran readers (especially the EOD veterans) a very Happy Veterans Day! Your service is appreciated and honored. We remember and we thank you! On this special, most deserved holiday, we remember all who sacrificed their lives for our freedom. We especially remember and honor those in the EOD community who have lost their lives to make the world a safer place. Thank you to all who have served and those who continue to serve our great country. Happy Memorial Day 2016. It's the Holiday Season and the staff at UXOInfo.com wishes you all the best as you celebrate with family and friends. 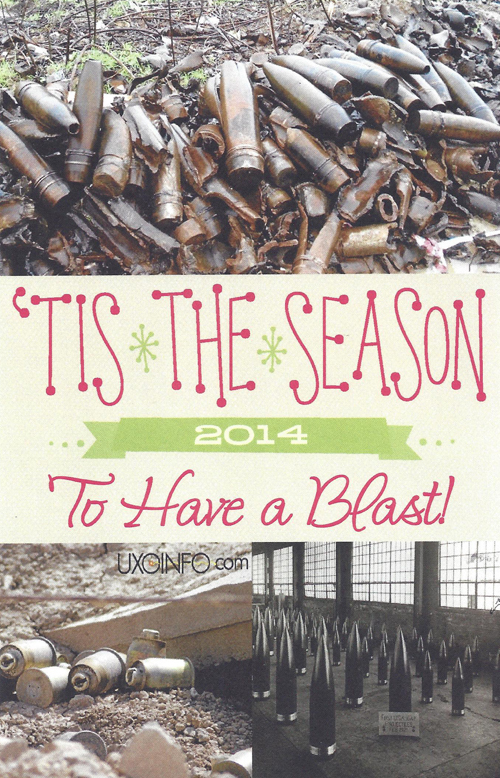 We also extend our gratitude for your support throughout the year. Our readers and sponsors make it possible to help connect the UXO community across the country and around the globe. UXOInfo.com would like to wish all our readers a Happy and Safe Fourth of July holiday. As we celebrate the independence of our nation, we also honor the men and women who are serving in the U.S. military to protect our freedoms. 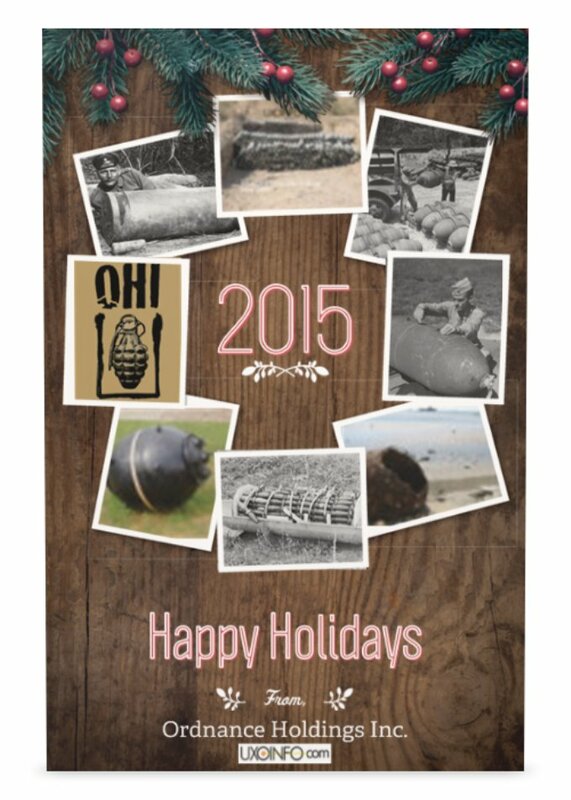 We especially like to thank the EOD Technicians for taking on dangerous missions in support of our country. 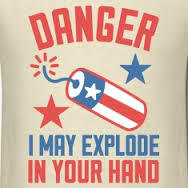 We also remind everyone that while celebrating with fireworks is a time-honored tradition, pyrotechnics are very dangerous and should be treated as such. 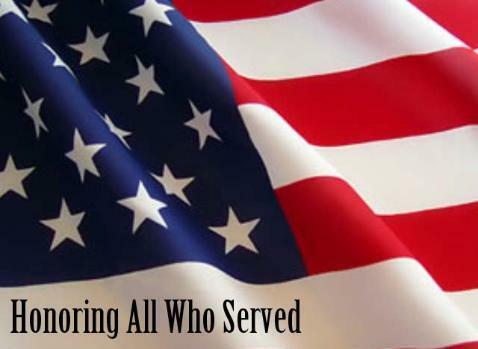 UXOInfo.com proudly honors our Nation's Veterans who have bravely served in the military. We would especially like to thank and recognize the EOD Veterans for all of their courage and sacrifices made to mitigate explosives safety threats from IEDs and UXO worldwide. You are true heroes and we salute you - Happy Veteran's Day.